Woohoo! Happy Friday Ya'll ... what's super fun is I'm off for a weekend of good times with my Upline and CTMH Team. Looking forward to our get-away. It's kind of a bummer that I didn't get to go to CTMH Convention this year but I'm super excited for the NEW Inspiration Book and products that will be coming out in August. Until then, I already have lots of really great stuff in my Stash to keep using. Today is another GREAT Color My Heart Color Dare #100. It's time to use Barn Red, Pacifica and Crystal Blue. I wasn't sure what I was going to come up with, I was thinking a scrapbook page but of course when I wanted pictures, I couldn't find any that worked with these colors. 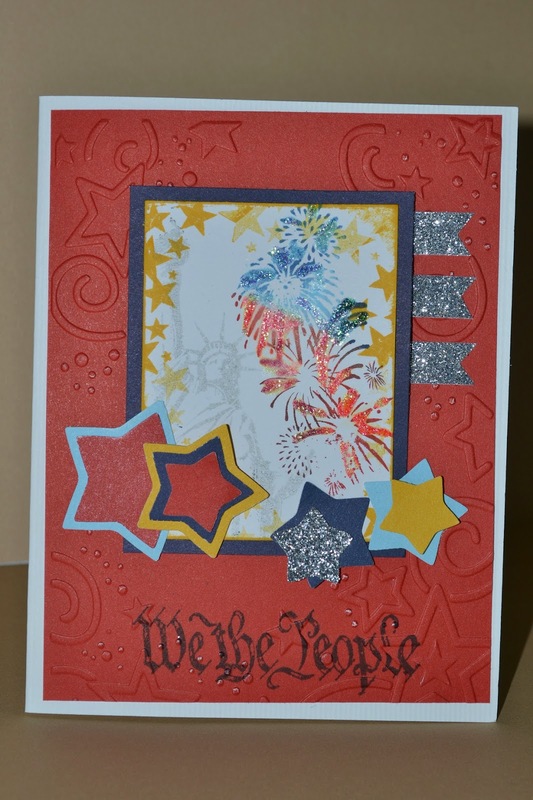 This card design is from the Deconstructed Sketch site, I just can't find the sketch number after I finished it, LOL. LOL! Well...not really but it's a GREAT time to start getting my Christmas Cards made. It makes for a much calmer holiday season if I get them done early AND they actually get mailed out much more timely. All good ... here's 20 more for the Christmas Stash. 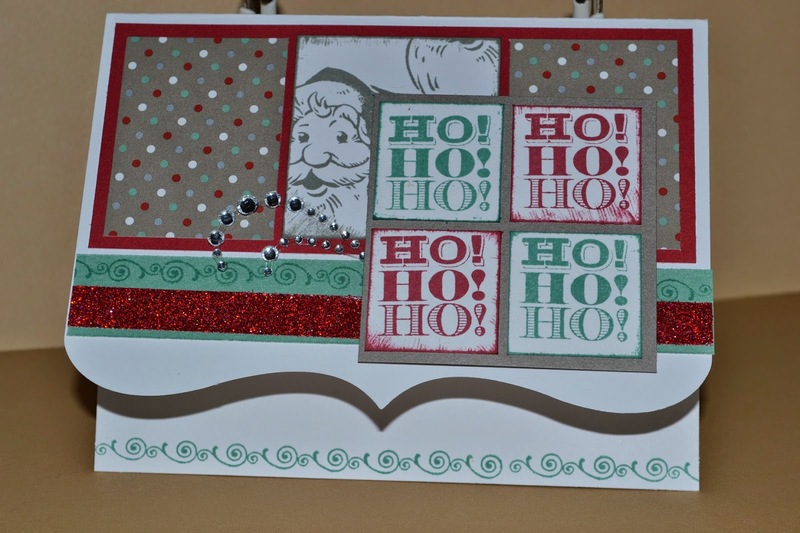 I saw this cute card idea last year from CTMH and already had my cards done so I made sure to get the supplies so I could use this idea this year. I love that red sparkle trim! Dreams of Christmas 2014 ... coming soon. This weekend I'm super excited to be spending a couple days with my CTMH Team. Unfortunately, we didn't get to go to Convention this year in Anaheim, CA but we decided to get together here in Ohio and enjoy each other's company and share good times and ideas. I made one of these for each of them. 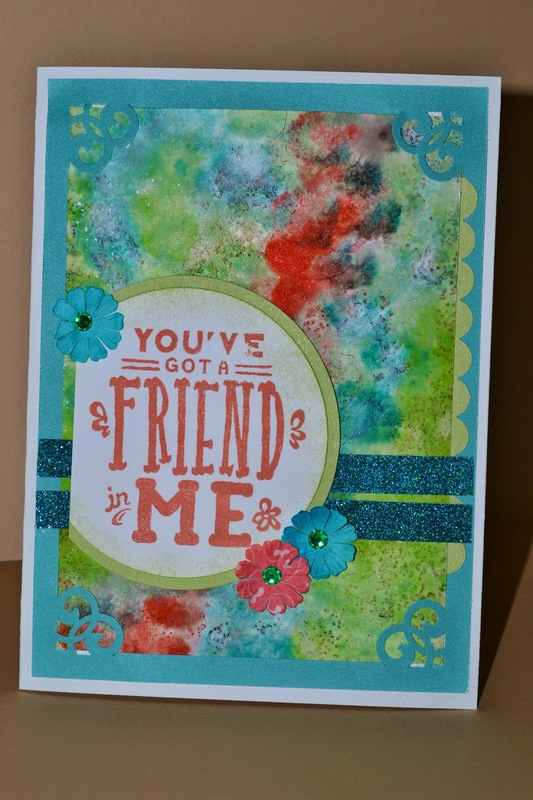 This fun card sketch is from this week's challenge at The Paper Players. Enjoy! Welcome Monday! Just recently I've heard the phrase, "Each New day is a gift." Looking at it that way, even Monday's don't seem so bad. It's a good start to the week and it's Summer now so who's complaining, LOL! 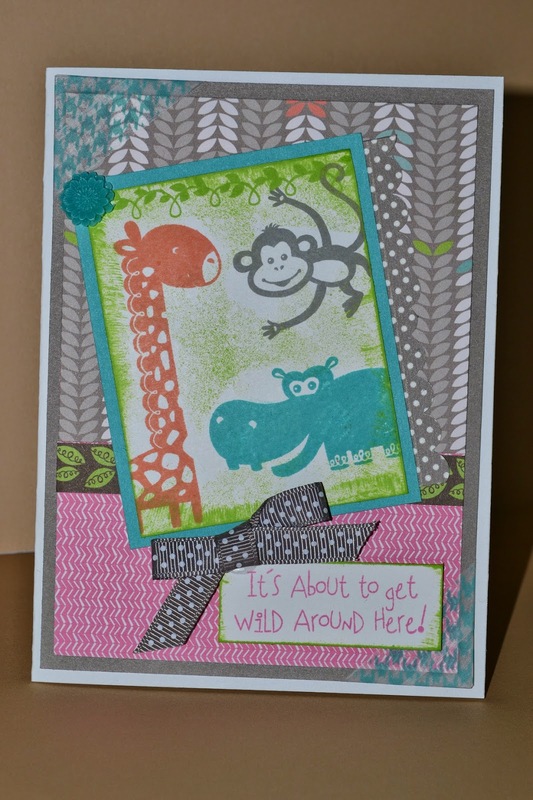 This cute card sketch is from Viva la Verve June Week #2. I love all the layers. This seemed like a fun card to make for our CTMH Team Meeting this week so I made one for all of my team mates for our card swap. I really like this Skylark paper. 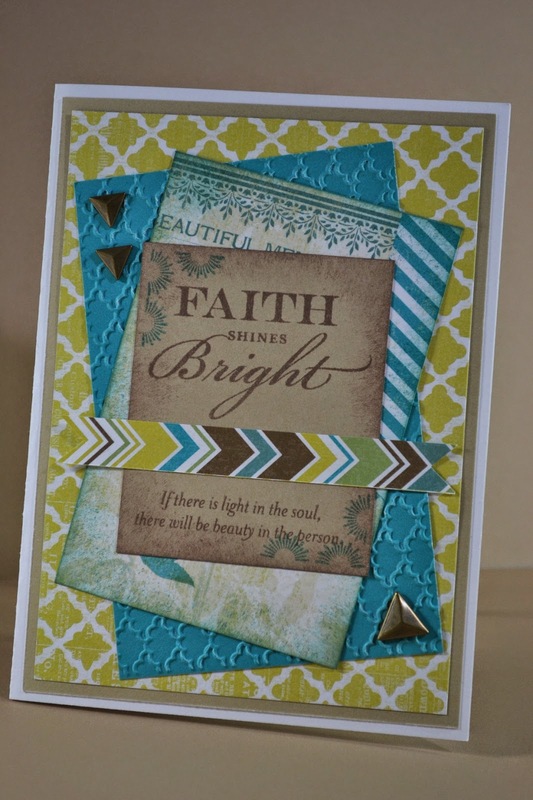 I added the fun Triangle Studs for the Heart 2 Heart Week 1 Challenge, add studs. Ahhh... another fun, relaxing Saturday at my house. I was getting a little worried because my MOJO has seemed to go on vacation but it felt good tonight that it was back. I've got a week of travel coming up for work so getting some fun stuff done this weekend, was key. 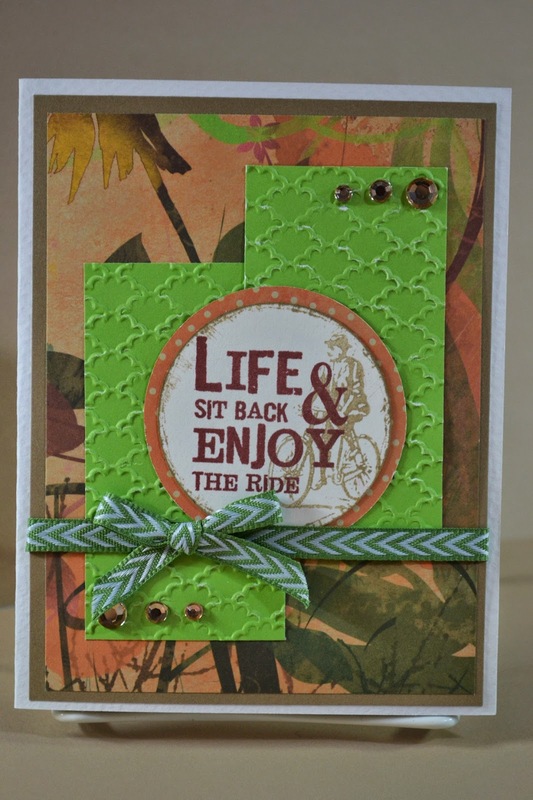 This card was inspired by this week's sketch at MOJO Monday #350. Woohoo ... officially...the first day of Summer! It's feeling good with lots of sunshine and warm temps so far. I hope that we can get out for some "camping" time this year. Please note, I'm not at all a "diehard" camper, nope, I need a sink for hand washing for contacts and shower but I do love S'Mores on the campfire, does that count? LOL! 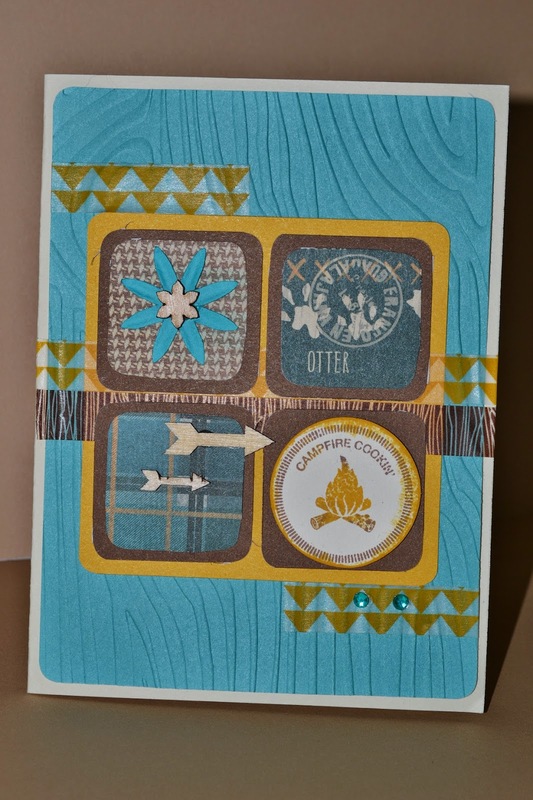 This card sketch is from The Deconstructed Sketch Challenge #110. 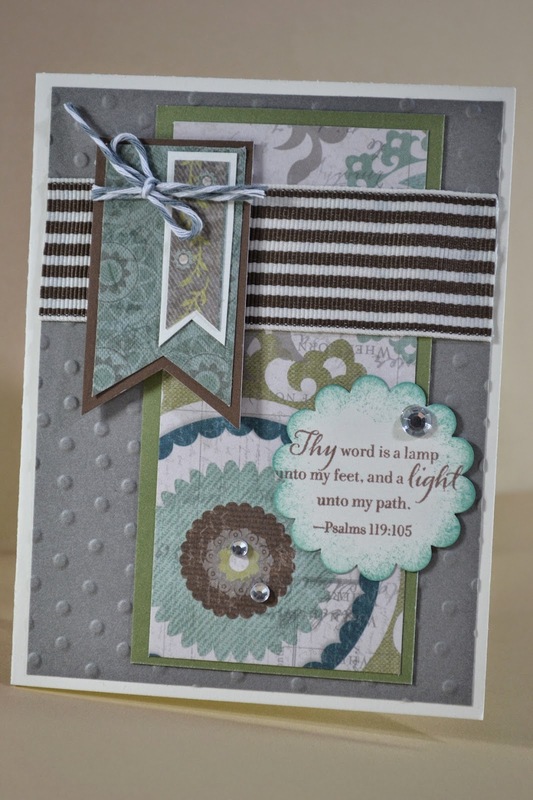 This card is me trying something new and fun. Thanks to the SCS VSN challenges, the background for this is called "Salted Backgrounds". Kind of a fun technique to try. I like how it came out. Fortunately I did a few and just picked my faves, LOL. There are days I miss when my boys were younger. I know there is a season for everything but I think my favorite ages were 8-12. Now 20's, whew...where did the time go? It was fun tonight to have the driveway full of guys shooting baskets with Gatorades all around and lots of trash talk, LOL. It makes me happy when they can still get together for fun and games. Maybe I'm the one that doesn't want to grow up? This card is actually for a friend of mine at work whose wife just had their first baby. I'm wishing them a blessing of life changes, haha. Ahhh June, Don' you love it when the flowers start blooming! I've got rosebuds and my lilies are opening beautifully. 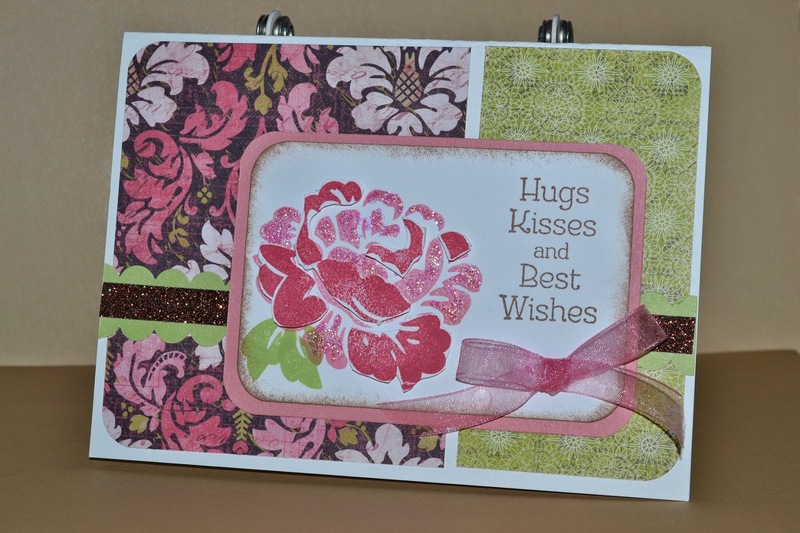 I really like this CTMH Ivy Lane paper, so fun to use with the flowered background. This technique is a "Tole" technique shared during SCS VSN. You stamped the same image, a little darker, cut it out and add layers just to give the image some depth. It was exactly as I pictured but I do like how it came out. Enjoy! Happy Birthday to my "baby" who is 20 today! I'm so glad we got to be together on his birthday, it's just not something you get used to as a Mom when they're older if you don't get to celebrate on the day with them. 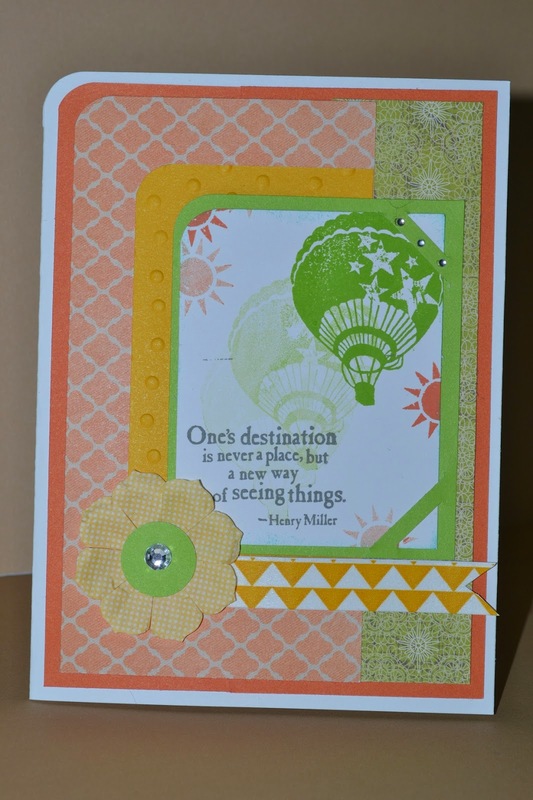 My card today was inspired from SCS VSN (Virtual Stamp Nights) Color Challenge - Lemonade! It was a color challenge to use Yellow, Orange, and Green. 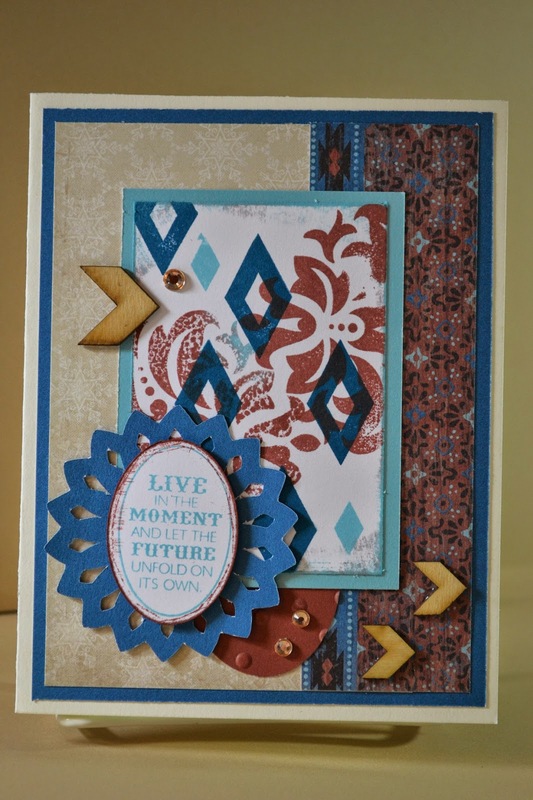 I also used the MOJO Monday #348 Card Sketch. It was fun to be creating again! Making Plans for 4th July! Woohoo! I love fireworks and picnics. I always look forward to celebrating freedom. Count down on ... This card sketch is from sb.com June Card Sketch Challenge.